After attending this webinar, participants will understand the medical review process (MRP) and increase their skills in assisting attorneys in MRP proceedings. After attending this webinar, participants will develop an understanding and knowledge of the skills required to complete Life Care Plans. The LNC will gain knowledge related to development of Life Care Plans and the various methods and approaches to their development. On-Demand Webinar: LNC Case Study: Mitigating Damages, Will It Frye? After attending this session, participants will be able to use effective research methods for cases that LNCs work on and have a greater understanding of certain legal concepts such as Bill of Particulars, Frye hearing, and mitigating damages on the defense side. Participants in this educational activity will gain an understanding regarding the standards of care for evidence collection, documentation of injury and maintaining a chain of custody in forensic cases. Have a question you’d like to Ask an LNC? Sign up for AALNC’s Ask an LNC Open Forum Q&A Webinar! Seasoned, practicing LNC’s--all members of the AALNC National Board of Directors and American Legal Nurse Consultant Certification Board--will be available to address your questions about being an LNC. At the end of the presentation, participants will understand the LNC’s role in their review and analysis of motor vehicle accident litigation. At the end of the presentation, participants will understand what a pain and suffering report is as well as the essential components included in the report. Participants will be able to identify search engines that will optimize their research using appropriate key words for optimum results. At the end of the presentation, participants will understand how their roles as an LNC can be used throughout a case up to and including the trial. At the end of the presentation, participants will understand what is readily available from electronic medical records (EMRs) and why metadata is important during analysis of EMRs. Participants will gain the knowledge needed to compare the criminal and civil court systems and discuss the LNC’s role in the criminal court system. Join AALNC and Corey Lorenz, a Mass Torts attorney, as she shares her firsthand experience of how each step taken during a case can impact the course of a trial and the ultimate outcome. Our second annual Virtual Job Fair featured three exciting speakers who shared the story of their journeys to their unique positions and experiences as Legal Nurse Consultants. Free Webinar: So You Want to Be an LNC? Are you currently a practicing nurse, or looking for ways to turn your nursing knowledge into a new career? Then you may want to explore becoming a Legal Nurse Consultant (LNC). The purpose of this activity is to enable the learner to explore components of and effective strategies for creating a medical chronology. The purpose of this activity is to enable the learner to increase their knowledge base concerning effective test-taking tips and to prepare for the exam by reviewing sample questions. The purpose of this activity is to enable the learner to increase their knowledge base concerning the Personal Injury arena and the critical concepts related to the LNC’s role in working on Personal Injury cases. The purpose of this activity is to enable the learner to increase their knowledge base regarding the key concepts related to the LNC’s role in working on medical malpractice claims. The LNCC Practice Test, including 100 practice questions, was developed through the same process used to write the LNCC® examination—except that the practice test includes answers! Use this tool to help assess your readiness for the LNCC exam. The purpose of this activity is to increase the participant’s knowledge and role of the LNC in three employment settings: risk management in a healthcare facility, Workers’ Compensation and defense insurance company. Participation in this online module will enable the learner to develop a knowledge base and beginning practice abilities in the role of the nurse expert. 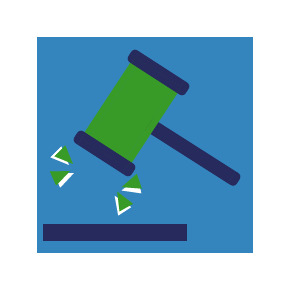 The purpose of this activity is to increase the participant’s knowledge and role of the LNC regarding alternative dispute resolution, pre-trial settlement modalities and the litigation process. Participation in this online module will enable the learner to develop a knowledge base and beginning practice abilities in the role of the LNC during the pleadings and discovery phases of a lawsuit. Participation in this online module will enable the learner to develop a knowledge base and beginning skills and practice abilities in starting and growing an LNC independent consulting business. Participation in this online module will enable learners to explore the concepts and principles related to toxic tort through the learning strategy of case analysis. By working through this self-directed online module, the learner will be able to analyze the multiple aspects and management priorities involved in a long term care case. Participation in this online module will enable learners to explore the concepts and principles related to products liability through the learning strategy of case analysis. By working through this self-directed online module, the learner will be able to analyze the multiple aspects and management priorities involved in a personal injury case. By working through this self-directed online module, the learner will be able to analyze the multiple aspects and management priorities involved in a medical malpractice case. 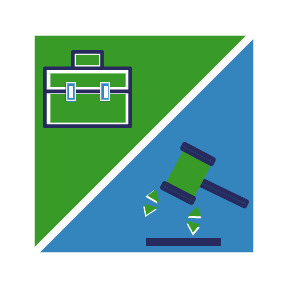 Participation in this online module will enable the learner to utilize specific tools to investigate, select and prepare expert witnesses for consultation, deposition and/or trial testimony. Participation in this online module will enable the learner to explore reliable, effective and efficient methods for conducting medical-legal research and providing an excellent work product to the attorney/attorney client. Participation in this online module will enable the learner to develop a knowledge base and beginning skills/practice abilities in the role of the LNC in analyzing and managing medical records. Participation in this online module will enable the learner to evaluate the various relationships of the LNC with attorneys and differentiate the roles and responsibilities in each area of responsibility. Participation in this online module will increase the learner’s knowledge base in fundamental legal concepts and doctrines. Participation in this online learning module will provide the learner with an introduction to the concepts, principles and practices of legal nurse consulting. Building Skills. Building Careers. This exciting online course provides an interactive learning experience for individuals interested in the unique field of legal nurse consulting. The purpose of this activity is to provide the learner with the concepts and tools to practice in the setting of workers’ compensation law. The purpose of this activity is to enable the learner to increase his/her knowledge base regarding key concepts surrounding the risk management role for the LNC. The purpose of this activity is to enable the learner to increase their knowledge base concerning the key concepts related to the LNC’s role in working on toxic tort claims. The purpose of this activity is to enable the learner to increase their knowledge base concerning key concepts related to the LNC’s role in working on product liability claims. The purpose of this activity is to enable the learner to increase his/her knowledge base regarding key concepts surrounding the role of the LNC when working on medical legal claims in long term care litigation. The purpose of this activity is to enable the learner to increase their knowledge base related to the specialty LNC practice of completing Life Care Plans and/or Medicare Set Asides. The purpose of this activity is to improve the learner’s knowledge level in the area of forensic and criminal law and to enhance analysis skills in these cases in anticipation of encountering this information on the LNCC certification examination. The purpose of this activity is to enable the learner to increase their knowledge base concerning the regulatory compliance arena and the key concepts related to the LNC’s role in working on licensure investigations. At the completion of the webinar, the participant will expand their LNC role related to Medicare Set-Asides as well as enhance their knowledge, referral base and revenue. Participation in this 90-minute presentation will enable the participants to increase their knowledge base concerning how to be able to effectively assist their attorney clients with cases by attending IME/DMEs. Participants in this educational activity will expand their knowledge regarding the new Americans with Disabilities Act (ADA) regulations, essential job function analysis, the interactive process, reasonable accommodations, and considerations for case review. Upon successful completion of this webinar, participants will be able to identify the different types of reports they may be asked to author. Participants will also be able to offer a verbal report to an attorney when consulting as a testifying expert. 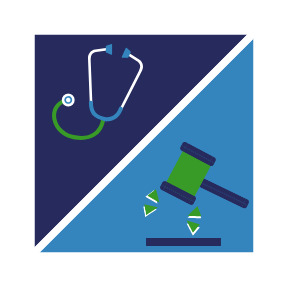 Participation in this educational activity will enable the intermediate to advanced LNC and expert witness to increase their understanding in providing testimony as an expert witness including basic elements and evolving concepts in medical malpractice. Participants in this activity will expand their knowledge regarding legal issues in the criminal justice system. 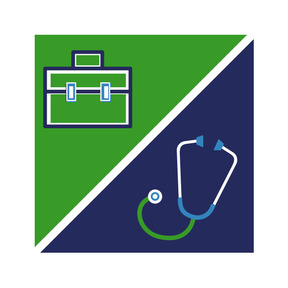 Upon completion of this educational activity, attendees will understand their obligations under the HIPAA privacy and security rules regarding Business Associate Agreements and patient authorizations. Upon successful completion of this webinar, Participants will be able to identify forms and list specific documents and information needed or used in the various stages of medical malpractice litigation. At the conclusion of this educational activity, the participants will be able to identify important information contained within a death investigation and reports completed in connection with the investigation. At the conclusion of this educational activity, the participants will understand product liability medical malpractice claims.